Oil & Gas — VEC, Inc.
Demolition and removal of an existing compressor and the installation of a new compressor and gas conditioning facility. Installation of a two unit grassroots compressor station. The scope of work included the installation of two 15,000 HP EMD compressors, buildings, ancillary equipment and piping. The compressor equipment consisted of two 1500 HP electric pony motors with VFD, 15,000 HP main motors, Voith gear boxes and Solar C45 compressors. Turnkey installation of fifteen meter stations along the Rover Pipeline, a dual 42" natural gas pipeline running from Pennsylvania, through West Virginia and Ohio and up through Michigan. Upgrades to twenty meter stations that included, foundations, building setting, site modifications, fencing, ditching, piping installation and instrumentation. Horsepower upgrade to an existing two unit station. The work included replacing two Dresser Rand compressors with two Aerial KBB 6s - the largest compressors that Aerial manufactures. The compressors were removed and installed using gantry cranes and mobile cranes and VEC performed the complete packaging and installation of the new compressors which included assembling the compressor, crankshaft and pistons, installing the motor package, complete flywheel and performing a hot alignment. The concrete pad in the compressor building was also removed and a new 60-inch slab was poured. 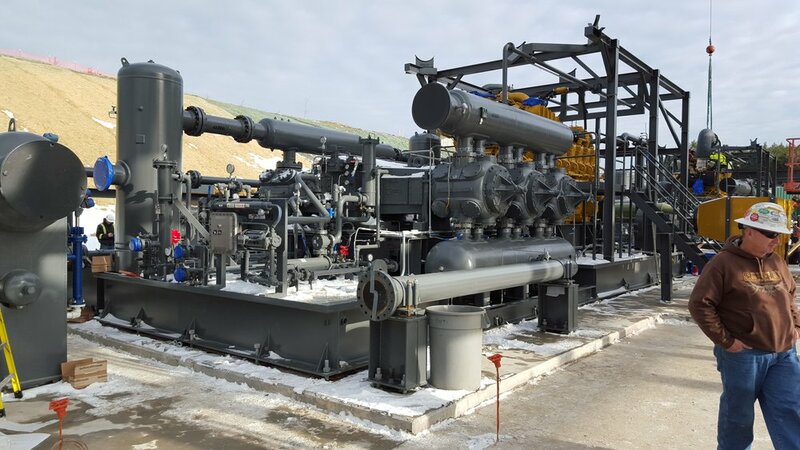 Turnkey installation of a two unit grassroots compressor station. 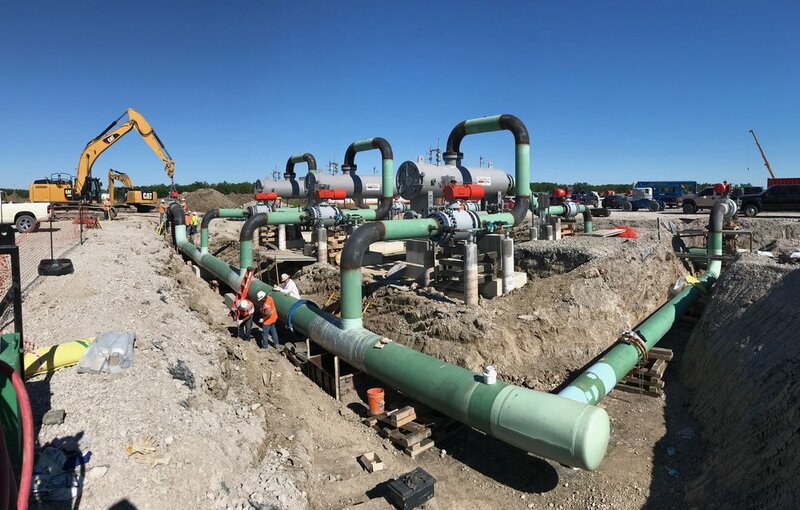 The project included the installation of all aboveground and underground mechanical piping, two compressors, including coolers and skids, a launcher/receiver and slug catcher. Installation of a one unit grassroots compressor station. The work included all concrete work including slabs, building foundations and pipe supports, the installation of all aboveground and underground piping and electrical systems, one Saturn 20 Turbine with C160V compressor, coolers and skids, setting and tie-ins of all equipment and instrumentation.